Ol' Green Eyes: Me! Me! Me! These are what I like to call my Barbie nails. 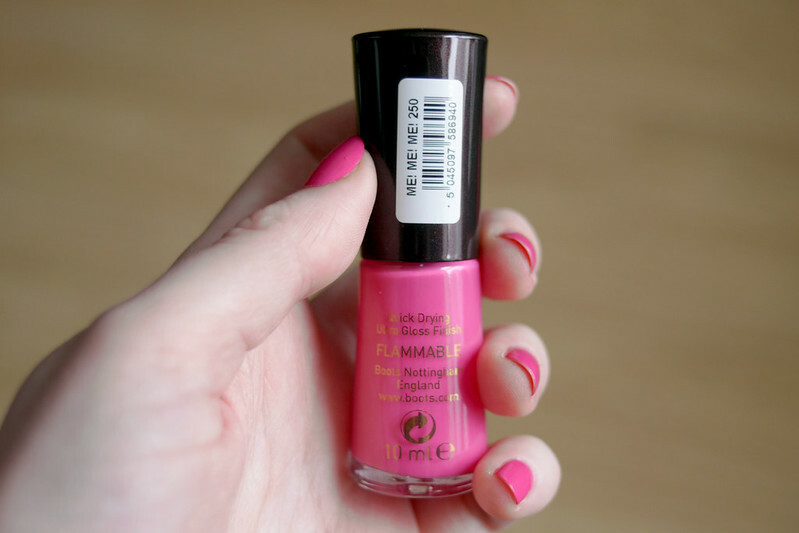 I don't tend to wear pink nails that often but there is something about this colour that brings me back to my childhood and those bright pink boxes I opened at Christmas and Birthdays. Me! Me! Me! 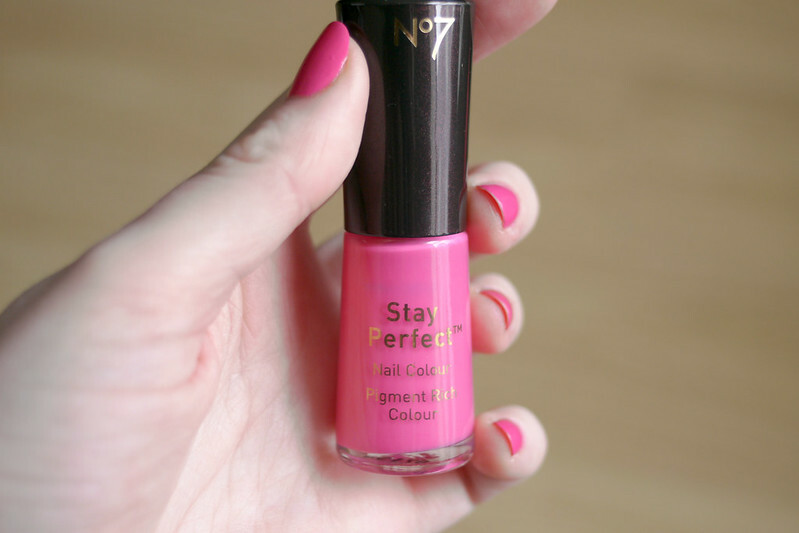 is one of the No7 Stay Perfect nail colours. These polishes have a large brush which is so easy to use and are opaque enough that you can get away with just a single coat. No7 products are available in Boots in the UK and Ireland and in Target in the US. The nail polishes retail for £6/€9. 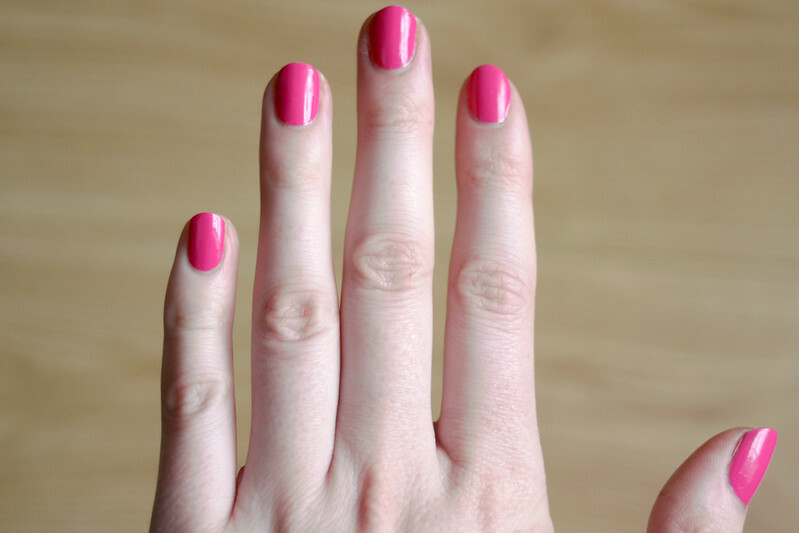 What nail polish have you been wearing recently? I think you'd love pink Sara! it's so pretty!